Keen to hear more of this, Padraig is of course the same one as the Padraig who occasionally writes pieces on The Irish Story! No 1 Brigade which Ó Ruairc claimed “completely changed the meaning of the sentence”. via Author owns up to errors in IRA Cork deaths book. Written by: Eoinpurcell on 17 January, 2011. Last revised by: John_Dorney18 January, 2011. One Response to "Author owns up to errors in IRA Cork deaths book"
Well done to Padraig for spotting strange errors in a book from a reputable publisher. 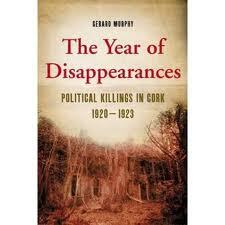 An ‘amazing coincidence’ that ‘could mean anything’: Gerard Murphy’s The Year of Disappearances. There were reviews also in the Irish Times (11 Dec 2010) by Caoimhe Nic Dháibhéid and in History Ireland (Jan-Feb 2011) by John Borgonovo. These were critical also. However, the book received praise from Eoghan Harris, Kevin Myers and from John Paul McCarthy in the Irish and Sunday Independent.